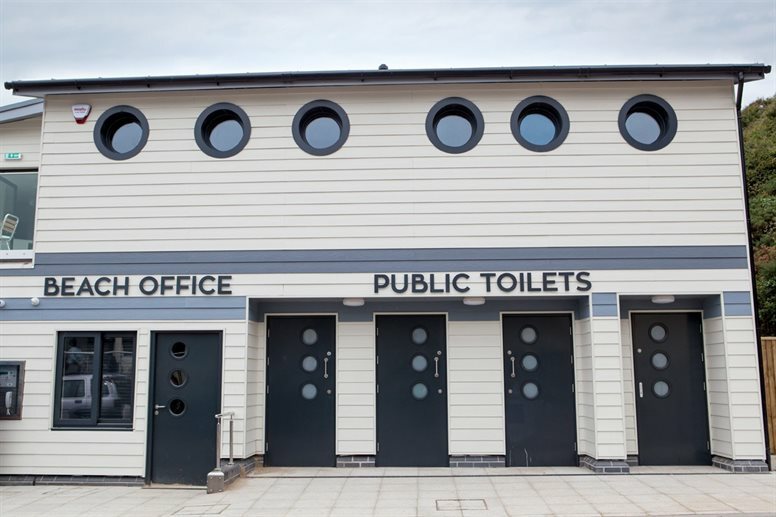 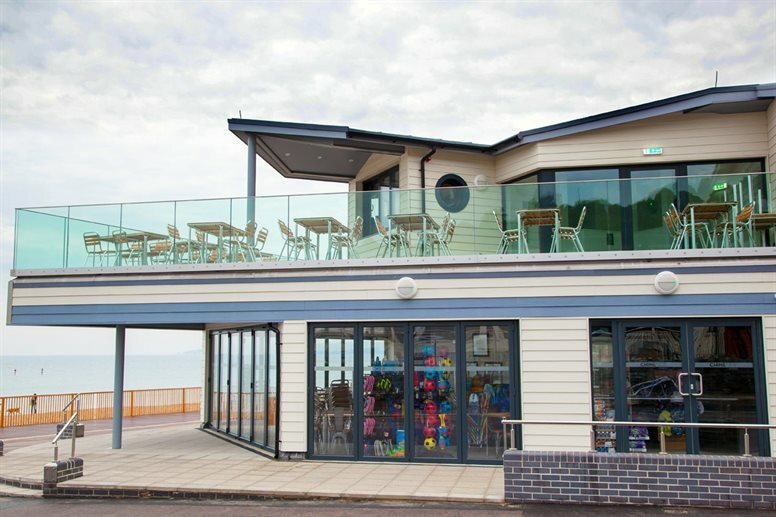 Included a larger upper deck, beachside terrace, ground floor restaurant, shop and takeaway store, new beach office and public toilets. 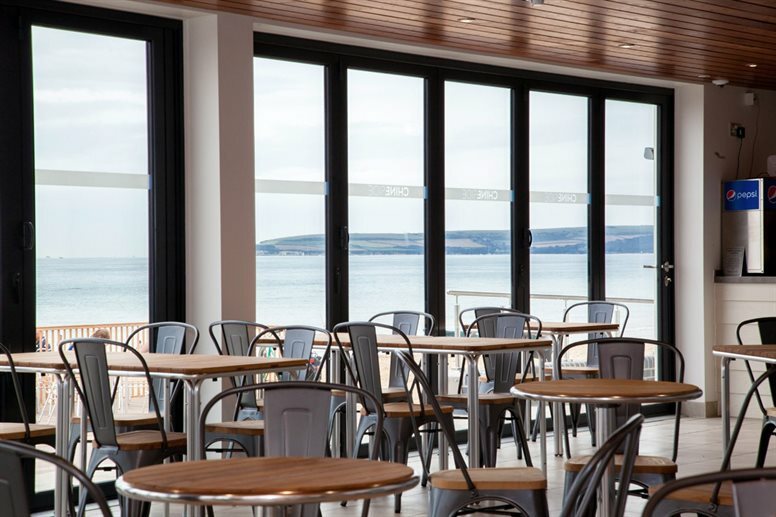 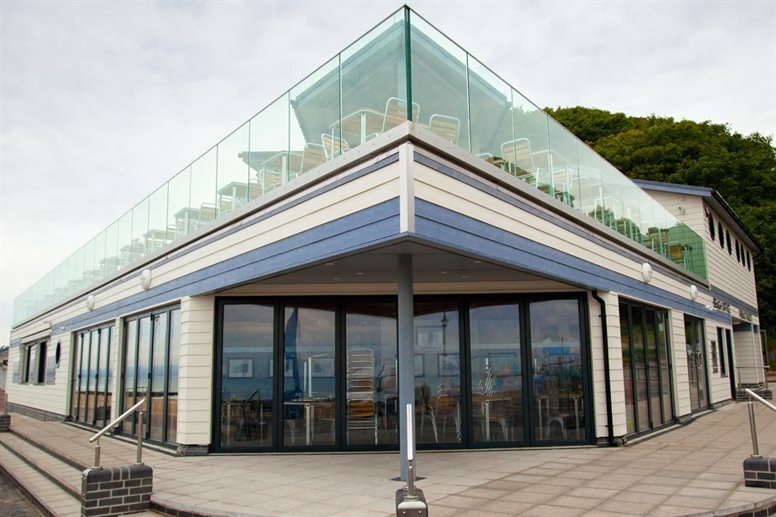 The upper floor features glass floor-to-ceiling doors that open up onto the expansive scenic terrace which maximises the prime seafront location to deliver a seamless indoor-outdoor experience for diners. 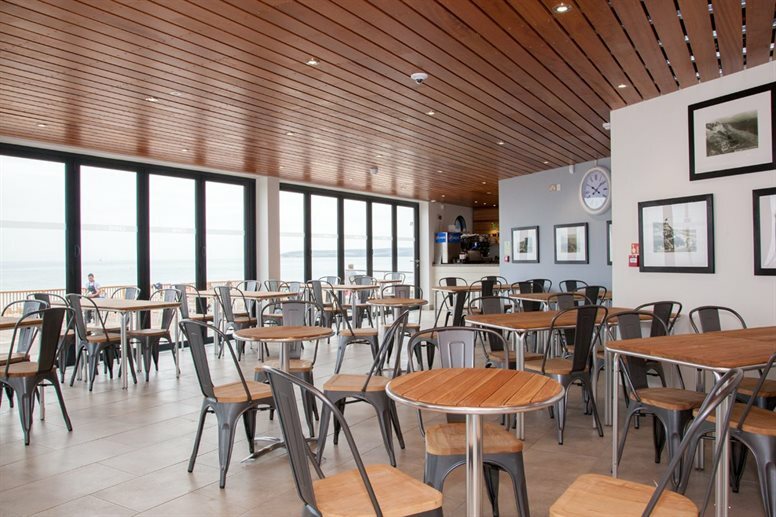 The architecture reflects maritime themed inspiration in elements including parts of the exterior with porthole-like windows and the interior, such as the polished timber ceiling of the ground floor restaurant which evokes the feeling of the lower deck of a luxury cruise liner. 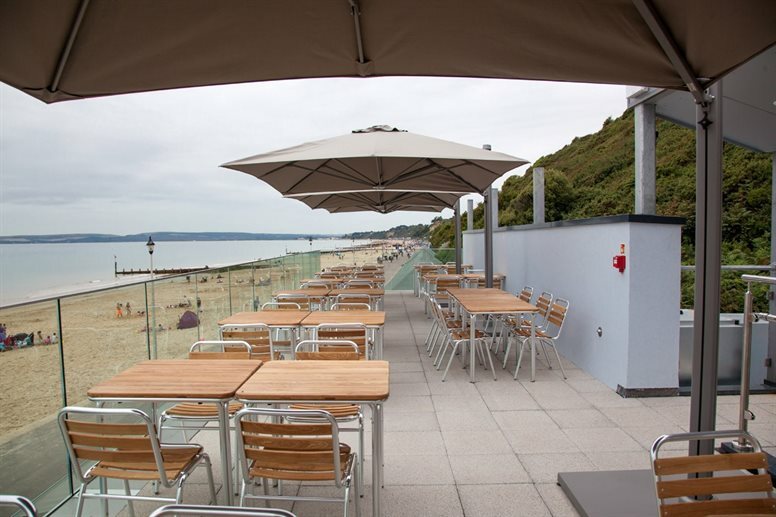 Included in the construction were 28 cycle spaces and the installation of a platform lift for access to the roof terrace for disabled visitors. 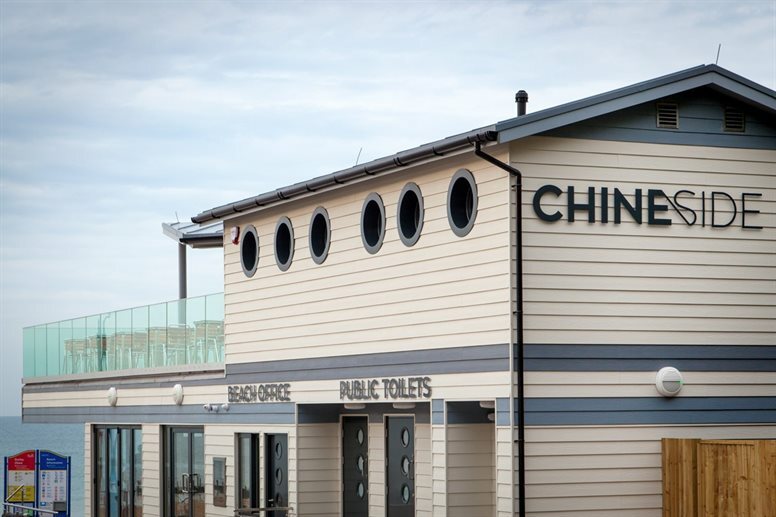 Chineside Cafe, Durley Chine, Bournemouth.